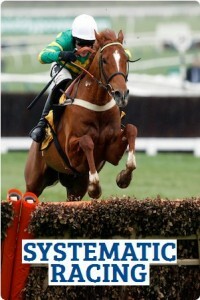 Let's take a look at Systematic Racing. Systematic Racing advises betting on Horse Racing with a two-pronged attack based around both backing and laying. The Systematic Racing service aims to identify value-priced win bets and overbet horses that they feel won't even make the frame and therefore, make ideal place lay bets. They are laid not to place rather than not to win to keep the liability down and a maximum lay price of 2.00 is advised. All bets are advised at Betfair SP which means that everyone is guaranteed to get the same odds and the same results. The Systematic Racing selections are sent every morning via email with clear, simple and no-nonsense advice making it easy for you to the service and you will receive on average 4-5 selections per day, spilt between the back bets and the lay advices. The payments are fully covered by the Clickbank 60-day money back guarantee and with the lifetime package equating to just five months payments, that does offer the best long-term value. If you're still not sure about the length of Systematic Racing package that might suit you best, you can click here to get your first month for just £4.95. Iain MacMillan's review of Systematic Racing will run for the usual 60-days and we'll be using a level stake of £10 per point and all results will be declared at Betfair SP and our figures will include a 5% deduction for commission on winning bets. 5.10 Beverley: Miss Tree: N.R.